Uber plans to use creative measures to remain competitive in New York City following the passage of a bill that put a cap on the number of vehicles that may operate within the city. The company plans on setting up a system where drivers share cars so vehicles don’t remain idle while also recruiting existing livery drivers in the New York City area into their app network. Uber plans to use creative measures to remain competitive in New York City following the passage of bills that put a cap on and freeze the number of vehicles that may operate within the city for the next year. On Wednesday, in a 39-6 vote, the New York City Council passed multiple bills that will pause the granting of new licenses for Uber, Lyft, and other ride-share companies for one year while a study is conducted by the Taxi and Limousine Commission (TLC) to determine the effects these companies are having on the city’s transportation industry. The legislation passed by the city also grants a new minimum pay-rate for drivers. Prior to the vote, City Council Speaker Corey Johnsons said, “We are pausing the issuance of new licenses in an industry that has been allowed to proliferate without any appropriate check or regulation,” before adding that he does not expect the existing service for ride-sharing customers to diminish. Mayor Bill de Blasio is expected to sign the legislation on Tuesday, which will take effect immediately. With new regulations in place, ride-sharing companies like Uber will now need to work within the limits of the law to continue to remain competitive. But Uber’s options under the licence freeze are limited in part because of the company will now be restricted to an existing pool of vehicles. A company spokesperson told Business Insider that Uber is ready to use creative measures to get around the language of the bills. First, the spokesperson notes that this cap is not a limit on the number of drivers, but rather a pause on the number of new vehicles. This distinction is important, as the company is thinking of reaching out to Uber vehicle owners who may be off the app for two or three days a week and see if they will allow new Uber drivers to use their vehicle when it is idle. This way, the company can ensure it keeps a high number of cars on the road despite a limit on new licenses. Another way Uber plans to work-around the new measures will be to recruit from within the existing field of livery drivers, which includes yellow taxis and black-cars. Uber estimates the number of industry drivers in the area to be closer to 120,000, and an Uber spokesperson told Business Insider that the company believes there are at least 35,000 existing licensed vehicles not being utilised by their app system. In short, Uber plans to recruit black-car drivers into their network. And while the newly passed bills plan on creating a new minimum pay-rate for drivers, Uber does not plan to oppose those changes to their business model. 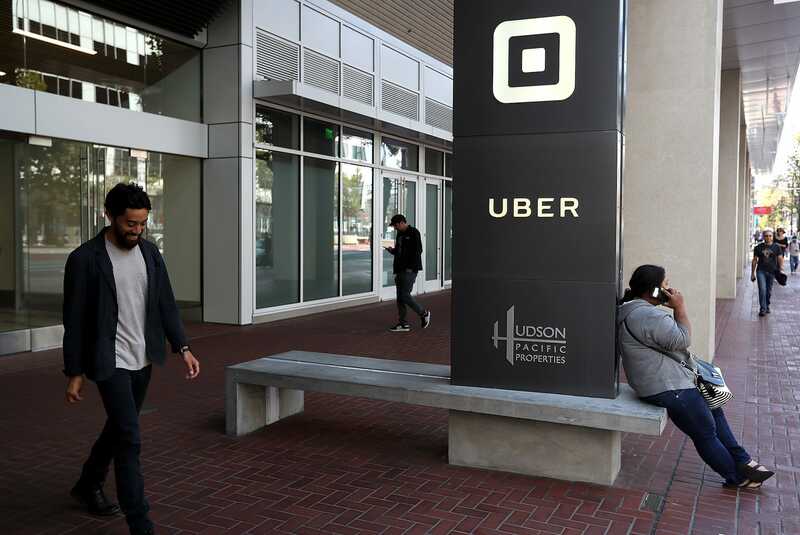 An Uber spokesperson told Business Insider the company is “supportive” of a minimum wage or wage floor for their drivers. The mayor’s office told Business Insider that he plans to sign the legislation on Tuesday, August 14, 2018.